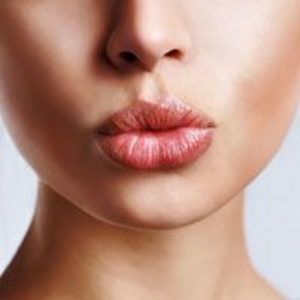 Lip reduction is the resizing through reduction of your lips using surgery. This type of procedure is, in most cases, a fairly simple and expedient surgery. The recovery is fairly easy, with moderate pain for a few days. Healing can be quick as well if you follow the post-operative instructions carefully. If you’re considering lip reduction, you are not alone. This is a common procedure, sought by many with oversized lips. Dr. Khosh explains one typical reason you might be considering lip reduction. There is a new trend among Asian women to reduce their lip size. The desired outcome is a smaller, thinner pout. Another reason you may consider a lip reduction could be due to your upcoming rhinoplasty procedure. Often times, a simple lip reduction procedure is coupled with other feature changes like rhinoplasty. Since lip reduction is a quick procedure, it can be easily performed along with other cosmetic surgeries. Facial harmony is another reason for lip reduction. If your lips are out of proportion to your other features on your facial structures you may choose lip reduction to achieve a harmonious facial appearance. Often, your lips are assessed in relationship with your nose and chin. Dr. Khosh is an expert at facial plastic surgery. He is dual board certified, specializing and focusing on facial cosmetic procedures, including lip reduction. If you’re considering a lip reduction in 2019, contact his office for a private consultation. Don’t allow your pronounced lips to overshadow your face any longer. Come see us today.